Neck Pain? Chiropractic Care is best! Recent news results in the same conclusions as the old news: Chiropractic is the most effective tool for neck pain! According to a recent study published in the Annals of Internal Medicine, chiropractic is still head and shoulders above medical options when it comes to the treatment of neck pain. In this study, researchers randomly allocated 272 patients with acute or sub-acute neck pain (of 2-12 weeks duration, and minimal intensity of 3 out of 10) to one of three groups: chiropractic care, medical care (prescriptions) or home exercises with advice. Treatments were administered, as needed, for up to a maximum of 12 weeks. Results were recorded at regular intervals, using several different assessment tools: subjective pain measures, self-report questionnaires and objective clinical examinations. When all the scores were tabulated, chiropractic was the overall winner! While only 13% of the patients seeking medical treatment reported a resolution of their neck symptoms, 32% of the chiropractic patients discovered complete relief-chiropractic was more than twice as effective as medical care! Chiropractic results were obtained in a average of only 6 patient visits over the 12-week period. 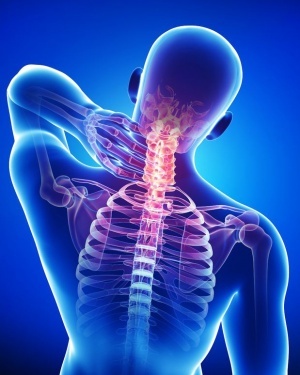 Treatments included chiropractic adjustments (specific, manual mobilization or manipulation of restricted segments of the neck or upper thoracic spine), plus any/all of the following: light soft tissue massage, assisted stretching and hot/cold packs. Medical treatment included prescriptions for symptoms, which usually comprised of Non-Steroidal Anti-Inflammatories, and/or Acetominophen. Muscle-relaxants or narcotics were also occasionally prescribed when the first options were ineffective.